The PlayStation 2 Classics line-up is getting a second dose of Konami after last weeks helping of Contra: Shattered Soldier. Only this time, it comes from its other classic era "C" series, Castlevania. 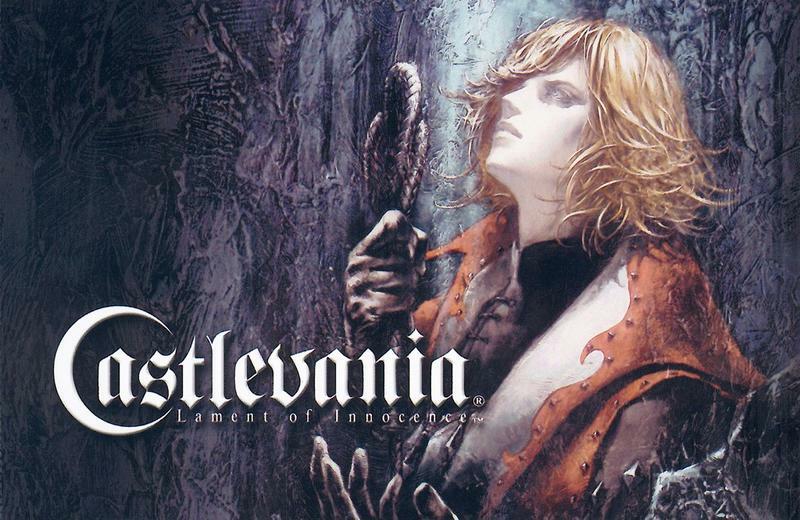 Castlevania: Lament of Innocence has never been seen or heralded as that great of an entry in the series. Not so much of the quality of the game, but rather fans just have a knock on the game's approach: 3D. Much like Contra, many still hold onto the false belief that Castlevania simply does not work in 3D. They point to the abysmal Nintendo 64 games as proof and praise the handheld "Metroidvania" games before calling it a day, but trust me when I say that this idea couldn't be further from the truth. The leap in technology between the console generations and better understanding of 3D gameplay ensured that Konami would not make stinkers again. Castlevania: Lament of Innocence is exactly what the series needed to become a smash hit. Excellent music, fun combat. This is also the oldest game in the Castlevania chronology, so it's exciting to see how the Belmonts and Dracula ended up getting their fates so intertwined. Still, some could not move beyond the fact that this was not a 3D Symphony of the Night. Exploration is relatively limited and rooms are repetitive, but it's hardly the linear room-to-room brawl that detractors make it out to be. There is plenty to see, do, and uncover in this game, just don't expect it on the grand scale of its massive predecessor. This is a Castlevania for the action fan, not the RPG fan. This harkens back to the classic days of the NES and SNES when the series was all about precision platforming and whipping enemies. The biggest thing that stood in the way of this game stealing our hearts was not its own fault, but rather Capcom's. Devil May Cry already redefined action games two years before Konami hiked this game out, and there really is no comparison between the two. Devil May Cry simply stomps all over this game, but what action game at the time didn't Devil May Cry overshadow? Ninja Gaiden was still a year away. Time has been nice to Lament of Innocence though, and its intentions are far easier to recognize in retrospect. It did a more than admirable job in making up for the Nintendo 64 disasters, and it paved the way for MercurySteam to really take the series forward in 3D. It gets a stamp of approval. Also released this week was Corvette Evolution GT, but I can't really comment on it since I've never heard of it. Looks like a racing game to me, but didn't we see enough of those at E3 this year?